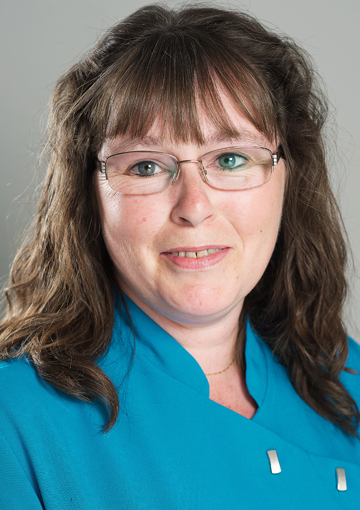 Louise began working at Royal Alfred in October 1989. The home was in a different location back then – on Holly Lane in Banstead. Her mother worked for Royal Alfred in the 1970s as a staff nurse and Louise fondly remembers going to one of the Society’s Christmas parties as a child. In her early career, Louise was a Care Assistant in a residential home but when her mother told her that the Royal Alfred was looking for someone, she applied straight away. She started as a care assistant in the home just after her 21st birthday and worked in that role for 22 years. When the Activities Coordinator opportunity came available, Louise applied internally as she was regularly involved in activities as a Care Assistant. Louise’s responsibilities include encouraging residents to get involved in as many of the activities on offer as possible. She takes pride in getting to know the residents as individuals and always goes above and beyond to ensure they enjoy day-to-day life at the home. Under her leadership the activities programme now includes concerts (many residents respond positively to music), boat trips, exercise classes, bingo, dominoes and arts and crafts, all of which Louise has a hand in organising.